When the Texas Department of Agriculture joined with the Texas Department of Public Safety to commission retired four-star Army General Barry McCaffrey and retired Army Major-General Robert Scales to prepare what Commissioner Todd Staples referred to as a unique and strategic assessment of “the increasingly hostile border regions along the Rio Grande” one might be excused for not immediately equating a military-driven approach to the problem of illegal immigration. At least not a level of hostility that would warrant a military intervention in relation to developing a strategy to better secure U.S. borders. After all, the American Dream was built on the premise that those from other nations of the world could come to this country and accomplish success along the lines of a Horatio Alger rags to riches story. Certainly violence within this widely understood context does not enter the picture, unless you happen to believe Arizona Governor Jan Brewer’s claim of frequent beheadings in the desert. 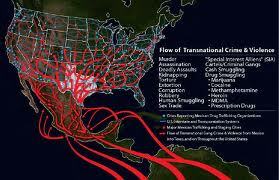 Of course Brewer’s is another state which likely faces a similar problem to that of Texas, in which the latter is battling narco-terrorism, including the efforts on the part of Mexican drug cartels to establish sanitary zones just inside the Texas border. 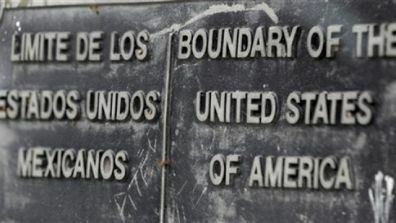 The fact that Brewer who, it would be safe to say, is not one to exercise restraint in terms of bombastic rhetoric, never referred to narco-terrorism or sanitary zones (at least not in the news segments I viewed), is perhaps why many Americans view border policies and related enforcement of controversial laws as being heavy handed and prejudicial. However . . . and this is a big however, while it appeared that Arizona’s Governor was referring to immigrants seeking refuge in the U.S. and the promise of a better life, what Texas is battling is far more insidious and dangerous . . . organized crime. It is through this lens that I will over the next several posts, be reviewing the recently released Texas report. My hope is that this exercise will serve as both a warning message and a call to awareness of the state of the southern U.S. borders and what it means to law enforcement and everyday citizens from coast-to coast. In short, is the nature of the threat real and if it is, to what degree should Americans be alarmed? ← 2002 article heralding the “End of the affair for celebrity CEOs” a telling tale of what was most troubling with the dot com craze: but where are these intrepid “profits of prosperity” now?